1681 — Charles II grants land including springs to Thomas Lord Culpepper, ancestor of Thomas Lord Fairfax. 1737 — Two maps note local of springs. One calls them Warm Springs; the other Medicinal Springs. 1747 — Lord Fairfax complains about squatters around springs, Mentions plans for a town. 1748 — March 18. 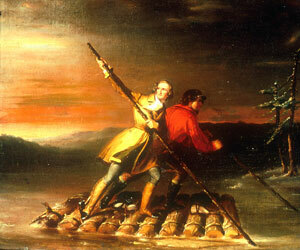 George Washington at 16 visits “ye fam’d warm springs” as part of Fairfax surveying party.